This year I am really focusing on a healthier me. Like many busy moms, I allow myself to be last on my list of priorities, and I am learning more and more as my kids get older that I can’t pour from an empty cup. When I am not healthy everything in life becomes more chaotic and tasks are harder to accomplish, which impacts my family more than Mommy going to the gym and leaving Daddy to take care of bathtime. 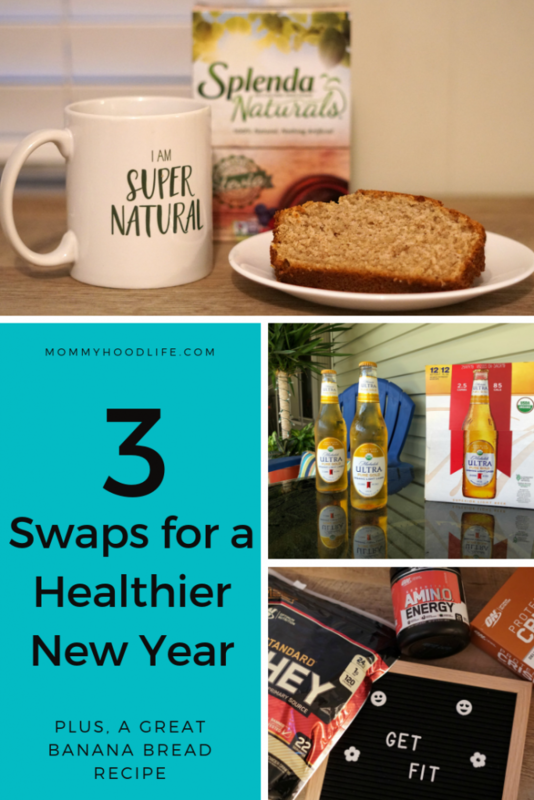 The easiest way for me to incorporate healthy habits into my everyday life is by making small changes like swapping out a few items I consume frequently for healthier options. Instead of making drastic lifestyle changes and cutting out things I love, I am making small changes and better choices each day which makes sticking to my New Years Resolution easier. Plus, these products are available at Walmart, where I already do a lot of my shopping! Getting my day started for me means coffee, so I was using sugar from the moment I woke up and throughout my day to cook with. I have swapped that out for Splenda Naturals Stevia which is a 100% natural, great tasting stevia product that contains nothing artificial. Plus it has zero calories! I use Splenda Naturals for my coffee, in my tea, and while baking. 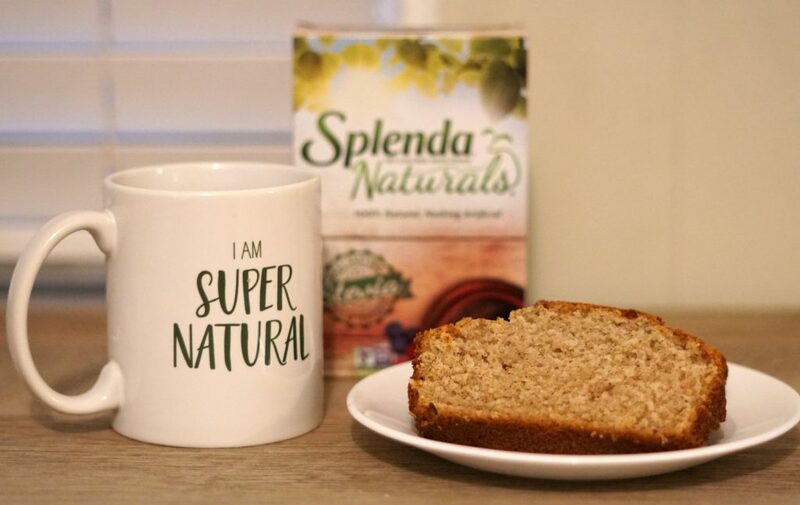 My family loves Banana Bread, so the first time I swapped in Splenda Naturals in the kitchen was while trying the Banana Bread recipe below, and it is delicious! 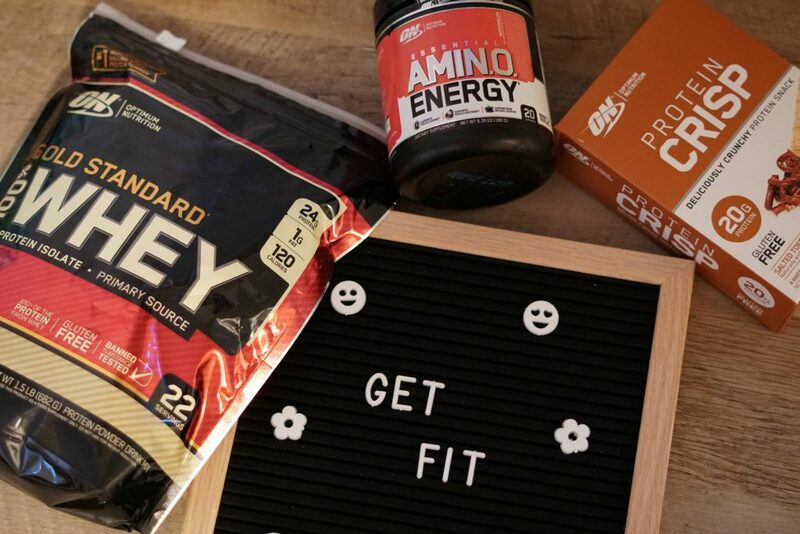 I have shared before about how much I love the Optimum Nutrition line of products, and they are still helping me stay on track! The Amino Energy drink mix is a zero sugar, easy to make, pick me up that provides caffeine from natural sources. This is a great tasting way to get some energy during the day. Gold Standard Whey is my go-to post workout protein drink. It contains 24g of protein and whey protein isolate is the primary source which is perfect for me, as I am trying to keep my carbs low. Protein Crisp Bars are also still a favorite in my house. These taste amazing, have a great crispy texture, and provide 20g of protein in each bar! My family has Banana Bread at least once a week. My kids love it for breakfast or dessert, so this healthier recipe option that uses Splenda Naturals Stevia is a delicious example of how I am continuing to eat what I love. In a large bowl, blend together eggs, buttermilk, applesauce, and bananas. In a separate bowl, sift together flour, baking soda, and salt. Add SPLENDA® Sweetener and stir into the banana mixture. Stir in pecans. Spread batter into prepared pan. 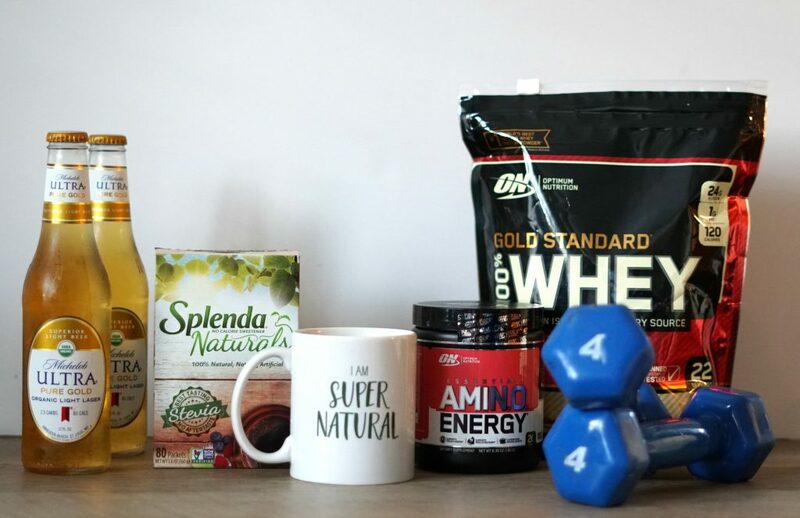 To be honest we don’t use any of these products, we don’t drink, we use only honey and I get our natural whey from cheese we make. For those that do enjoy these things I hope it helps them be healthy. i never had the beer before until i also joined this campaign and now i really actually enjoy it and the small calories it has too! i use the splenda to help me crave some sweet cravings i usually get and those protein bars are SO good! Thanks for the tips!! I always try to start the new year right and on a health kick. These tips are great. That beer looks so frosty and cool so i will get some soon. Cutting back on sugar is so smart in all your recipes. These are some great tips! I’ve always liked splenda. I need to pick up more. I’ll be entering the sweepstakes as well. I am looking to lose weight and will check into Splenda naturals as I haven’t ever use it and need to quit using Sugar. As well as the Beer for my husband who is looking to lose weight and I don’t drink beer but will have a Wine Cooler once in a while. Yes changing the food habit is most important thing I am doing for this 2019. I too use stevia. But beer I like Heineken light. 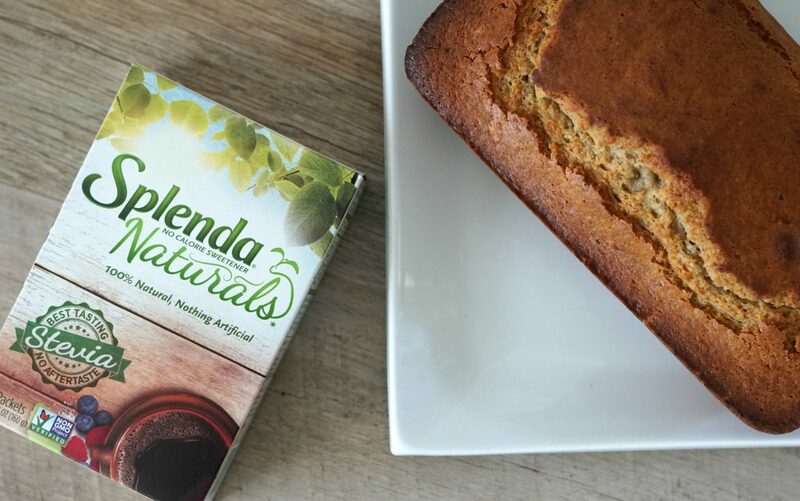 We love Splenda Naturals! Eating healthier has been a real challenge. We love sweets and are trying to find better choices. The banana bread looks delicious and I could really use a beer right now. I love the idea of swapping out just a few things. It’s not such a shock to the system and easier to accept. My son in law likes the Michelob Gold. He says it tastes great. I’m not a beer drinker so I need to trust him! My family loves banana bread too! We’ll have to try the Splenda trick! I’ve read that Stevia is a good choice for baking, but I haven’t tried it. Banana bread is a favorite at our house, I’ll have to try that recipe. My husband loves the Spenda in his coffee. He was wanting to get away from sweeteners. I’ve been using unsweetened applesauce as a substitute for oil in baking recipes for several years now. Every little bit helps, right? I love a good banana bread. I baked one in the past but without applesauce. I would love to try your recipe. Bet it’s good! Love that stevia has zero calories and it’s all-natural! People with diabetes can take this as an alternative. 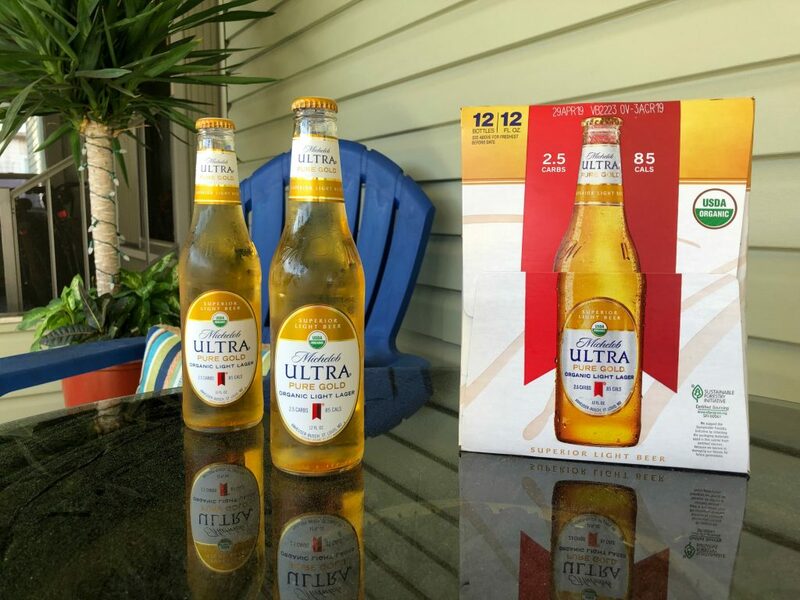 I didn’t know Michelob had these Pure Gold options. I like their light beer. It’s pretty good.